Coachella Valley Fitness & Sports..
We are an active, physically fit group of desert dwellers for the most part. I think it’s because of our “indoor/outdoor” living we are lucky enough to experience fitness most of the year. 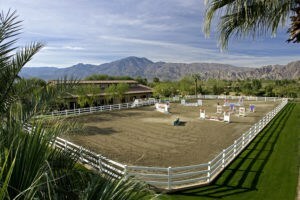 There are seasonal outings of course, like the HITS horseshow, and International Polo Games, but it’s really just the variety of daily “things to do” for your wellness that brings people of all ages to our beautiful Coachella Valley. Tennis: Home of the BNP Tennis Tournament since 1976, try out your tennis talents at the JWMarriott Desert Springs Resort & Spa, Demuth park, Mission Hills CC, PGA West. Training and Yoga: Hit Thrive Fitness Studio in palm Desert, Kinetix Health & Performance Center and for Yoga Studios, try Evolve Yoga in La Quinta or Urban Yoga Center,and Bikram Yoga Plus Coachella Valley. Indoor Cycling: Sign up for a challenging yet fun cardio work put at Pedal Spin Studio in Rancho Mirage. Swimming: Hit the Palm Desert Aquatic Center for both Lap Swimming and free swimming. Never forget all the cycling trails, and nobody CAN forget one of the Valleys’ favorites..GOLF! I’ve posted a short video of a polo game at Eldorado Polo Club..another entertaining, public welcome, outdoor event in the Coachella Valley.